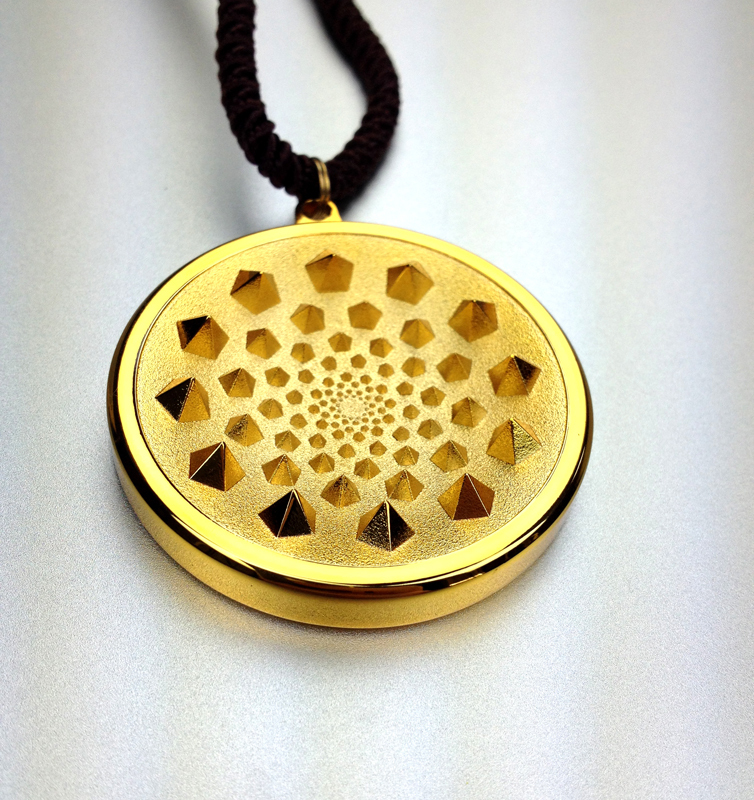 Do you know about Ancient Sacred Symbols and Sacred Geometry? 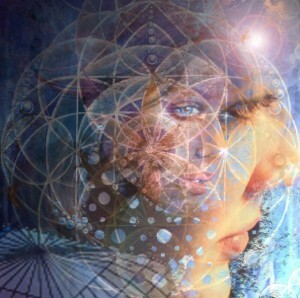 At first glance, they may seem intriguing, or maybe just kind of cool, but if you delve into their meanings and history you will uncover significant lost truths such as the interconnected, holographic nature of our Universe. 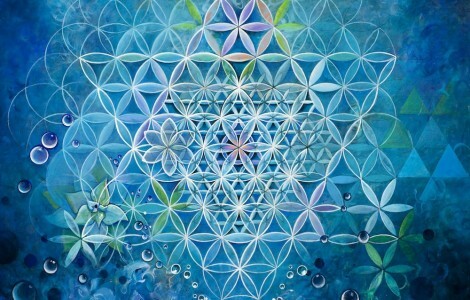 There is a ton of information out there about deeply meaningful symbols such as the Flower of Life, and Metatrons Cube. Most likely, you’re already familiar with these symbols and what they mean. If not, a great start are the Spirit Science videos on the Flower of Life among others. 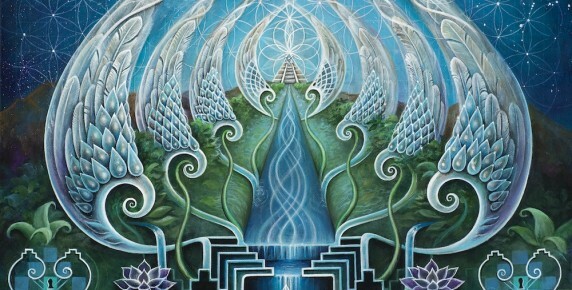 Through their mesmerizing creations, visionary artists like Alex Grey, and Kristleyez can reveal ancient truths and mysteries about the Universe in a way that your Being can’t help but resonate with on some level. The artist Kristleyez is a new discovery for me, but I find her artwork stunning. She’s a talented writer as well. Here she explains some deep truths in an article that also depicts some of her complex artwork. Enjoy! We’ve arrived!! Welcome to the future of our ancient past… to the PRESENT dawning of an era that has glimmered in our hearts and souls for eons….a memory of what is possible when we remember. Humanity is FINALLY remembering. Tides of transformation are sweeping through our lives, our dreams, our communities, our world and our collective consciousness. So vastly have I contemplated this prophesied time with passionate intrigue and quest for transcendental truth…!!!! When I was a child, I had a undeniable sense that I had a mission to fulfill here…and it was IMPORTANT……but I didn’t quite know what my mission was. I thought intensely about the questions, “Who am I?”…”What is God?”…. and “What is the meaning of life?” It is these same driving questions into the nature of existence and ones place within it that has fueled religions, seekers, artists, healers, philosophers, scientists, shamans and souls alike to pursue their quest for meaning. Blessed to be born into a loving, open-minded and supportive family, my artistic and spiritual inclinations were nurtured from childhood. My parents encouraged me to develop my OWN understanding of “God”. I recall times in my life that I felt guilty for not being more religious. I wasn’t baptized and a part of me worried if this would prevent me from going to some mythical eternal Paradise when I died. My early experiences in church felt somewhat foreign to me…truthfully, I felt more at peace in the forest with the trees as my temple and sky as my cathedral! My sisters and I spent our youth exploring the expansive woods that surrounded our property, pretending that we lived in a far-away land called Terabithia. 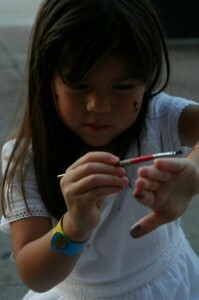 We built tree-houses, gathered nuts and berries, collected water, constructed bridges…we even made our own fishing poles! It somehow felt more real to BE there, than anywhere. I realize now that our “make-believe” games were nothing less than premonitions of our ancient tribal future. Twenty years later, I still long to return to Terabithia…. but this time, its not as far away as I once thought. And each day I am learning to dream that sacred reality into my world more and more… Looking up the etymology of this name ( inspired by the book “The Bridge to Terabithia”), it didn’t surprise me to discover that the name derives from Latin word terra, referring to earth, place or land – and the English word Bithiah, from Hebrew batya, meaning “daughter of god”. Thus, Terrabithiah or Terabithia could be interpreted as the land of God’s daughters. How appropriate that my sisters and I embraced this term for our home in nature’s embrace! The mission that I came here with as a child was alive in me without me even knowing it. It is the destiny that so many of us came here in this momentous time to bring forth… to bridge Heaven and Earth. The dream of living in communion with our mother Earth, in commUnity, in common unity… this is the purpose we are collectively awakening to. 2012 was not about some doomsday end to the world, as some would have liked us to fear….. the word apocalypse actually derives from the Greek word: ἀποκάλυψις apokálypsis; meaning a “lifting of the veil” or “revelation”) and is defined by Wikipedia as a “disclosure of something hidden from the majority of mankind in an era dominated by falsehood and misconception.” Amidst a trembling world of war, political unrest, environmental depletion and financial crisis, something immaculate is rising from within! The walls of separation are crumbling and revealing hidden truths, if only we have tuned our eyes to see it, hearts to feel it and spirits to believe. Synchronicities stream endlessly onwards like rivers, guiding the flow and reminding us of our infinite interconnectedness. Our thoughts are manifesting at ever-increasing frequencies, and the clearer and purer our thoughts resonate, so too will our manifestations sing with our highest potential! Some are just grasping this, other have long remembered and others have yet to understand their own divine power. But everyone is exactly where they are destined to be – here at the dawn of a new age…Art serves as a profound mirror of the collective consciousness. Few things have demonstrated our interconnectedness more to me than the artistic process itself and the guidance of synchronicity weaving through our lives and our creative expressions. I felt somewhat isolated in my art classes during college for being inclined towards creating what many labeled cliche “New Age” artwork…. I experienced deep frustrations in my art history classes when they explained that the current predominate movement in the arts was called post-post modernism, for lack of any cohesive movement in the arts for decades. I respect the notion of “art for art’s sake”, as I believe that life itself is inherently CREATIVE and anything that we see in our physical world is preceded by an idea. But most “contemporary” artwork we were exposed to felt empty, anxiety driven, and somewhat cynical to me. It seemed that the “art world” was terribly confused. I longed to discover art that communicated ineffable Truths beyond the boundaries of languages, creeds, time and even dimensions. Many of my dearest family know this story, but for those that haven’t its relevant to share here again. About seven years ago, I entered into a week long personal painting/meditation retreat. I felt limited in my imagination at the time and while I was skilled at capturing what was before my eyes, I was terrified of a blank canvas. I embarked upon an abstract/organic painting that attempted to communicate my sense of the interconnectedness with Creation. It started as a cosmic tree and somewhere in the brush strokes, I glimpsed a vision of two simplified figures…. they were practically just lines but I saw a powerful life in them. I expressed them as two beings that interwove together into a DNA strand. When the rest of the painting was nearing completion, I still felt it needed something geometric to balance its organic essence. I grabbed a piece of paper and contemplated what kind of shape I would incorporate. I was thinking simply – just triangles, hexagons, squares, circles. I decided a circle felt most appropriate so I grabbed a compass. I drew a circle. I stared at this circle for a little bit and then I drew another circle connected to the first. I contemplated my next move again and drew another circle. Surprisingly, I found it locked perfectly into the prior two. I repeated this until I was staring at an amazing pattern that had unfolded before my eyes. It was somehow, absolutely perfect. I got really excited and painted it into my piece (centered at a point of origin where the two beings emerged) in an artistic fury of inspiration! It was complete! I stared at this work for days after I finished it. Rather than feeling satisfied, I was left somewhat unsettled. The pattern I’d painted seemed undeniably familiar, almost nostalgic to me but I had no idea why. I meditated on this for some time until the cover of a book that a friend had lent me years before flashed into my mind. At first, I couldn’t even remember the name of it. I later realized it was the “Ancient Secret of the Flower of Life” by Drunvalo Melchizedek. At that time, I had only perused the book…never venturing past the first few chapters about the pyramids and extra-terrestrials. I decided to look up the Flower of Life online and was astounded to discover the very same geometry that I THOUGHT I had personally “designed” was as ancient as time itself. Realizing the magnitude and meaning of this symbol, as well as its presence in many ancient cultures, I was ultimately HUMBLED, awakened and overjoyed. It was a life changing epiphany – perhaps the most important moment in my life!!!…. For the first time, I truly witnessed the collective consciousness flowing through me and came to understood HOW everything was connected. My understanding of Creation was fundamentally, irrevocably and infinitely expanded. I began to work passionately with this symbol in my artwork, unlocking hidden codes and harmonic possibilities within it for years before I found anyone else that seemed to understand what I was exploring. I tried to explain to my friends and family that I had stumbled across a geometry that I felt contained everything….I coined it “the fabric of form” but this mostly went WAY over people’s heads. It wasn’t until I attended Sonic Bloom in Colorado in 2008 that I finally found others who had heard of the Sacred Flower. Up until that point, I began to worry if my insights had any true validity on reality. I decided to move to Colorado from Wisconsin immediately upon finding a resonant understanding with others there. I didn’t know where I would live, only that I simply had to BE there. I packed my belongings, quit my jobs and ventured west, making a vow to myself that I was never going to work for “the man” again and to completely surrender my life to my calling as an artist…. I gratefully stayed with a few different friends for months as I searched for the proper housing situation, but I didn’t settle in completely until I crossed paths with none other than Jamie Janover, a renowned musician and the producer of the Sonic Bloom festival. It instantly felt aligned and I moved in the next day. It turned out that Jamie was also an emissary for a theoretical physicist by the name of Nassim Haramein, and he gave presentations at our home on Nassim’s “Unified Field Theory”. Nassim’s work contemplated the fundamental structure of the universe and I was amazed, but not surprised, to learn that his theoretical geometry of the vacuum of space was essentially the masculine counter-part to the Flower of Life…Astoundingly, they fit together like interlocking puzzle pieces! I could go on for days about the meaning of these forms and how I have come to believe they form a blueprint upon which all things are created, but I will leave that for your own personal research and contemplation if you are interested. My point in sharing all of this is multifaceted, but MOST essentially I feel it is a direct example of the nature of Oneness, both symbolically, literally and synchro-mystically through my experience. 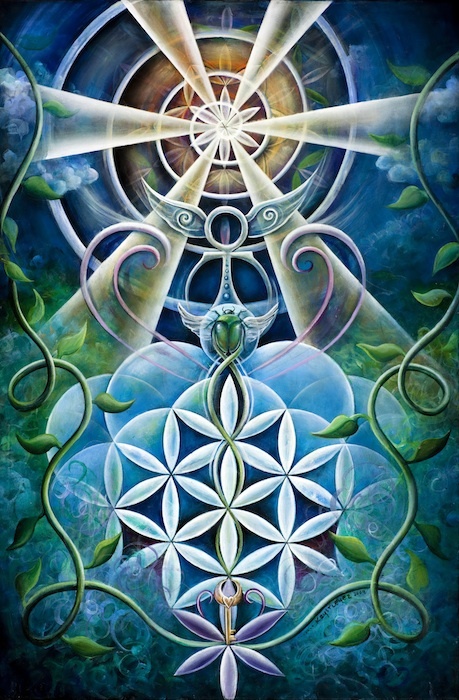 Over the years that I have been passionately working with this symbol, I have witnessed the awareness of sacred geometry emerge back into our consciousness with an increasing light, integration and purpose. The seeds of light are blossoming into fragrant gardens of remembrance!! Alex Grey’s artwork was my first introduction to the realm of Visionary artists. When I first laid eyes on his paintings, I sobbed. It was the artwork that I had been waiting for, the transcendental artwork I always knew was possible but I had never been exposed to. I later connected with an amazing artist David Hale online and awareness of his work led me to several other illuminated artists in the visionary community, the first being Kris Davidson. 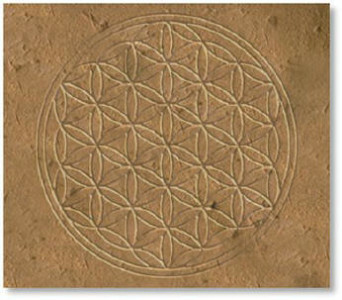 Admiring Kris’ geometric designs, I noted that he was ALSO painting the masculine version of the Flower of Life…. I quickly became aware of many other artists that are communicating this sacred symbol in their own ways, but the essence of their work is fundamentally similar. We are all speaking the same celestial language, the language of light which is embedded in us ALL. At the core, we are all made out of the exact same fundamental, universal essence. We all contain billions upon billions of specks of divinity, with universes inside of us arranged with immaculate perfection. We consist of spiraling constellations of geometries, visible down to our atoms and into the vastness of our own galaxy and beyond. I believe that the more that we can understand creation through this fractalling, multidimensional lens, the more we can learn to harmonize with our true nature, each other and the world. Everything consists of energy… this energy exists as varying densities, or vibrations…and every vibration has a unique frequency or geometric pattern that accompanies it. 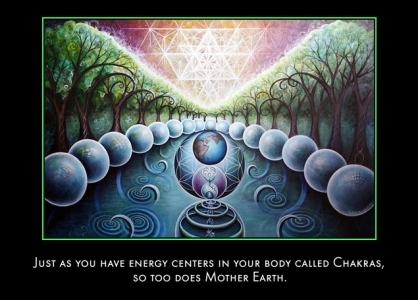 (For example: the study of cymatics provides clear insight into this concept) And it is well understood that energy cannot be destroyed, only trans*formed…. Okay, so let’s say we ARE made up of an interconnected web of geometries…what implications does that understanding have on humanity in this seemingly chaotic world? In my opinion, this perception affects everything…from the realms of science, biology, astronomy, philosophy, religion, spirituality, art, architecture, music…… I don’t believe that it is necessary for everyone to view the world through this lens, as it is enough to grasp the idea that everything is connected and to live life from that understanding in your own unique way – but if enough people DO grasp this fundamentally unifying perspective, the spectrum of our collective experience and knowledge of the cosmos can expand exponentially in a heart beat!!! Consider the difference between sitting in a small, square room with no windows or sitting in a sacred temple with stained glass windows to eternity…this room and this temple are both within US and we may decide which space we chose to reside in! If we don’t consciously make choices that protect our delicate mansions of being, we are like sponges to vibrations. We absorb the subtlest shifts of energy down to our atomic structure and this is what we radiate back into the world. When we consume processed, genetically-modified foods, this is exactly what we become. Processed, reprogrammed, genetically-altered. The very composition of our being is intrinsically impacted according to the vibrations around and within us. This applies to the kind of music we listen to, our culture, our environment and our thoughts…we are ultimately frequency transmitters and receivers….. as is our earth, our Sun and the entire cosmos. We are in constant communication with All That Is, call it God, call it Source, call it “the Universe”, call it whatever you will… and we are perpetually recreating ourselves and co*creating the reality that we experience through vibration. [pullquote align=”left|center|right” textalign=”left|center|right” width=”30%”] We are ultimately frequency transmitters and receivers….. as is our earth, our Sun and the entire cosmos. We are in constant communication with All That Is, call it God, call it Source, call it “the Universe”, call it whatever you will… and we are perpetually recreating ourselves and co*creating the reality that we experience through vibration. [/pullquote] So as we move through these most prophetic of times and have passed through the doorway of the year 2012, may we now make the conscious choice to continue to heal ourselves and the planet through the vibration of LOVE. There is no force more powerful than that in all of creation. It is perfect, whole, and complete ~ infinitely within ALL things. We must start by loving ourselves completely, eliminating judgment and embodying truth. We are all on our unique pathways to what some may call, ascension…. which is another way of labeling the process of raising our collective vibration to resonate in loving Unity rather than separation from each other and Creation. I also speak these words not only to you, but as a reminder to myself. I am by no means perfect and have my own challenges towards integrating a fully conscious lifestyle. While my spirit has been at the forefront of my consciousness, I don’t completely honor my body as the temple that it is. I am particularly prone to enjoying my daily cup(s) of coffee, I don’t exercise as frequently as I would like to, I’ve been struggling to overcome an addiction to tobacco, and I have also been working through a blockage in my throat chakra which has resulted in extended periods of distant communication with friends old and new. I often have so much to express that find my expressions to be either long-winded or non-existent (as I am waiting for some perpetually later moment when I have the “time” or “space” to communicate myself fully, deeply and eloquently). This has manifested in my life as a mix of unanswered emails or keeping in close communication which bears a heavy weight on me…… I also find hidden pockets of latent fears and insecurities surfacing and the lower vibrations of stress and guilt for not being all that I know I am capable of. Yet, I know the power is within me to FULLY embody my highest, brightest, purest light….. and if there is one message that is coming through loud and clear as we enter this new year, it is for us ALL to STEP IT UP. We are laying the foundation for generations upon generations to be built upon, and when our actions are aligned with the benefit of ALL, this is nothing less than creating heaven on earth. We have all chosen the perfect opportunities for our individual and collective evolution, which are now culminating and catalyzing change in all aspects of our lives. 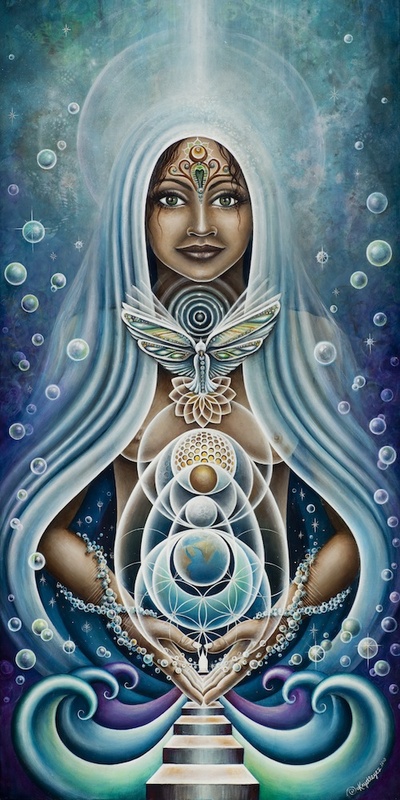 We must continue to hold space for each other to heal the deeply embedded pains, patterns and limitations imposed upon ourselves and humanity, and to expand the space from which we may freely and authentically live and express our love sustainably. We must closely examine ourselves and acknowledge anything that we are hiding – then make the choice to take fearless action and bring all the undigested shadows buried into the light. Our accomplishments over the past decade alone have been tremendous, but our potential is ever greater. There is always space for evolution. I am infinitely grateful to be a part of an ever blossoming community of spiritual-warriors of light, and the support, acceptance and inspiration that I have received from this tribe is unprecedented. I await the day that our global tribe of humanity may treat each other with the same respect that is demonstrated through this colorful, co*creative blissfully loving family, for then we will be truly immersed in the Golden Age. As the dawn nears, the fog clears and humanity wipes the sleep from its awakening eyes, there is so much left for us to create, learn, share and remember together!!!! Watch the important film Black Whole, a documentary by genius Nassim Haramein (mentioned by Krystal) to get a fascinating look at how the ancient sacred symbols like the Flower of Life, the Sri Yantra, and the Tree of Life visually articulate deep profound wisdom that validates the latest understandings in Physics of how are universe operates. This IS the Unified Theory of Everything that has been long sought by western scientific luminaries such as Albert Einstein. Most importantly, it demonstrates how YOU have an active role in shaping the Universe and your reality. 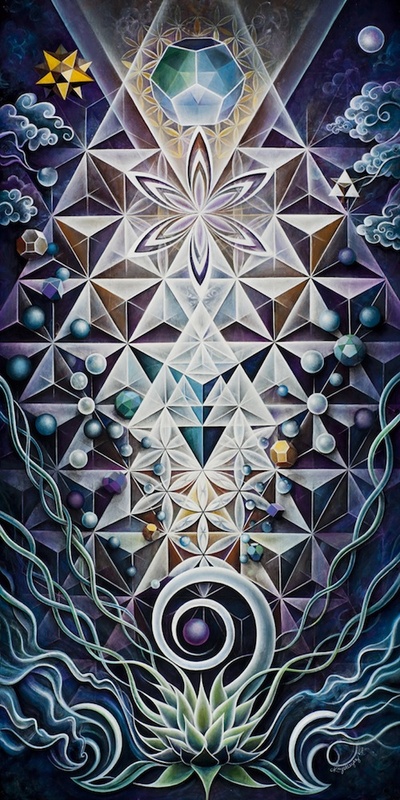 Also, be sure to explore the stunning Zenga art by Jeb Barton at zengastudios.com Jeb understands sacred geometry, symbols, and wisdom at a profoundly deep level. His style is more simplistic with a Zen influence, but also very beautiful. He’s also one of the wisest and most creative men I’ve ever met.